In an offseason in which Brady opened up the personal side of his life in the “Tom vs. Time” docuseries — which showed his evolution as a family man and how he balances that with the full-time commitment of football — conviction was a hot-button topic because of something he had said at the end of the final episode. There was one point, in particular, that Brady seemed to want to stress: He loves football as much as ever. And now the final stretch of his career has become all about how he can continue to play while also being the husband and dad he feels his children — ages 11, 8 and 5 — need. 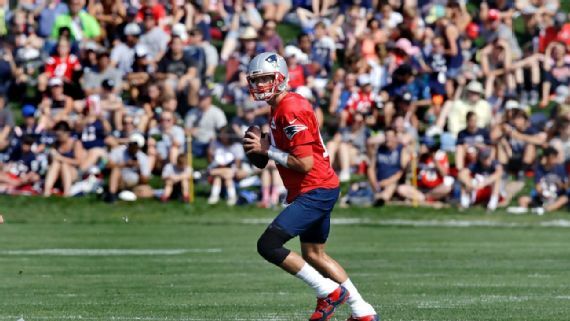 Brady detailed on the “Religion of Sports” website (which is the business Brady founded with Michael Strahan and filmmaker Gotham Chopra), his decision to pursue that passion has a significant trickle-down effect on those around him. “Over the last few seasons, I’ve become a lot more aware of time, in general. It’s not just training camp or football. 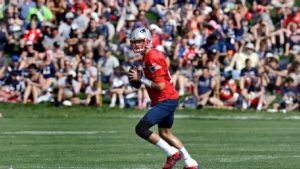 It’s everything,” Brady wrote in a Q&A on the site. “There’s a lot of sacrifice that goes into this — not just from me, but from my family, too. I’m not as available during the football season. And now that it’s here, he looks for pockets of relief within the grind. Sunday was one example of it, as Brady was greeted on the field by his kids, which provided an up-close snapshot of the balance he’s trying to strike over the final stretch of his career. It uplifted him after having not seen them for 10 days.